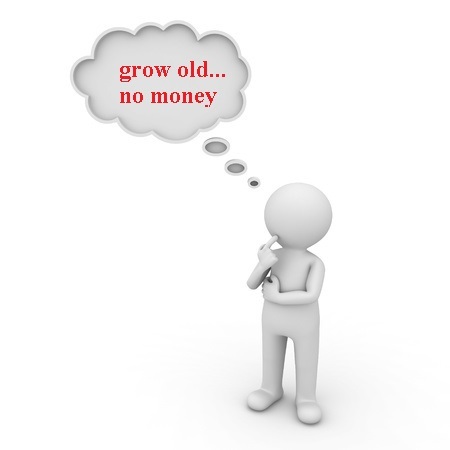 Are You Afraid Of Growing Old Without Money? Greg is a 63-year old Vice President of a company. What will I do? Growing old…. no money….. I pitied him so much. If only he was twenty years younger-it would have been easy! Almost all my employees (over a hundred of them) are investing in the Stock Market too. Messengers, janitors, clerks… I’ve got happy employees because they will all be multimillionaires when they retire. Did you know that the interest you earn in a bank is LESS then 1% a year? But in the Stock Market, if you follow my simple investment system (NOT trading! ), you’ll grow your money from 12% to 20% a yearover time and become a multimillionaire in 20 years. Thousands of people have already joined my TrulyRichClub.And following my guidance, they have started investing in the Stock Market. And they’re very happy. Those who joined me 2 years ago-and who invested in the Stock Market with my guidance-can’t thank me enough for the TOTAL CHANGE that has happened in their financial life. Yes Bo, I’d like to change my finances. This entry was posted in Bo Sanchez, Truly Rich and tagged Bo Sanchez, growing old, retirement, Stock Market, truly rich club on July 13, 2015 by Bobet Prudente. How can i buy stock?? You have to get a stock market trading account from reputable brokers, like ColFinancial. But the stock market is a dangerous place for those who do not understand it. 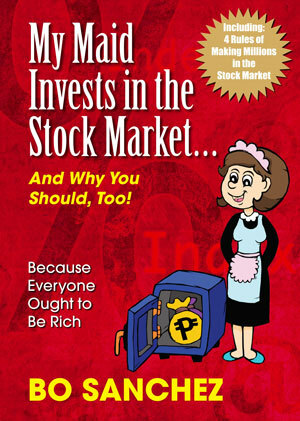 Why don’t you download and read the free ebook, My Maid Invests in the Stock Market first? How can I start investing? I’m an OFW and I’m going home next year to settle my financial strategy….Please tell me How to start… btw, I ve had the book about my maid invest in stock.market…..I’m planning to invest in Sunlife since they have good reputation. I appreciate for any feedback. A better way to grow your money is to invest in paper assets like stocks and mutual funds. But you should learn both about growing money AND how to use money. There are lots of people who make a lot of money and invest money but they just keep on spending. Are you interested in joining the Truly Rich Club, where members are taught to “Gain Financial Wealth and Spiritual Abundance at the Same Time”? 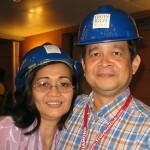 Have you listened to Bo Sanchez video on joining the TRC?